VINYL AND CD AND CASSETTE NOW SHIPPING! 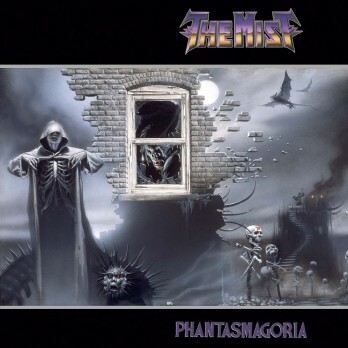 Greyhaze Records is proud to reissue of THE MIST's Phantasmagoria. The Brazilian Thrashers originally released this amazing album in 1989. Featuring the influential vocals of Vladmir Korg (original singer of CHAKAL) and the pure thrash fury for which Brazil is known, Phantasmagoria now gets a proper worldwide release on CD, vinyl LP, and cassette formats, a long-awaited offering to all true fans of the genre! Upon its 1989 release Phantasmagoria was a departure from what was being done by bands from the City of Belo Horizonte up to that point. 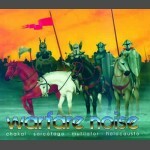 The album showed a Thrash attack that was as vicious as it was precise. Drummer Cristiano Salles' relentless thrash beat coupled with Korg's unmistakable higher-pitched guttural vocals set the tone of an album that had everything to become a strong success. Sadly, it was not to achieve the recognition that it deserved. Over the years it circulated through the Metal world as somewhat of an obscure collector's item. Now with this Greyhaze reissue, Phantasmagoria gets its overdue North American and European official release!